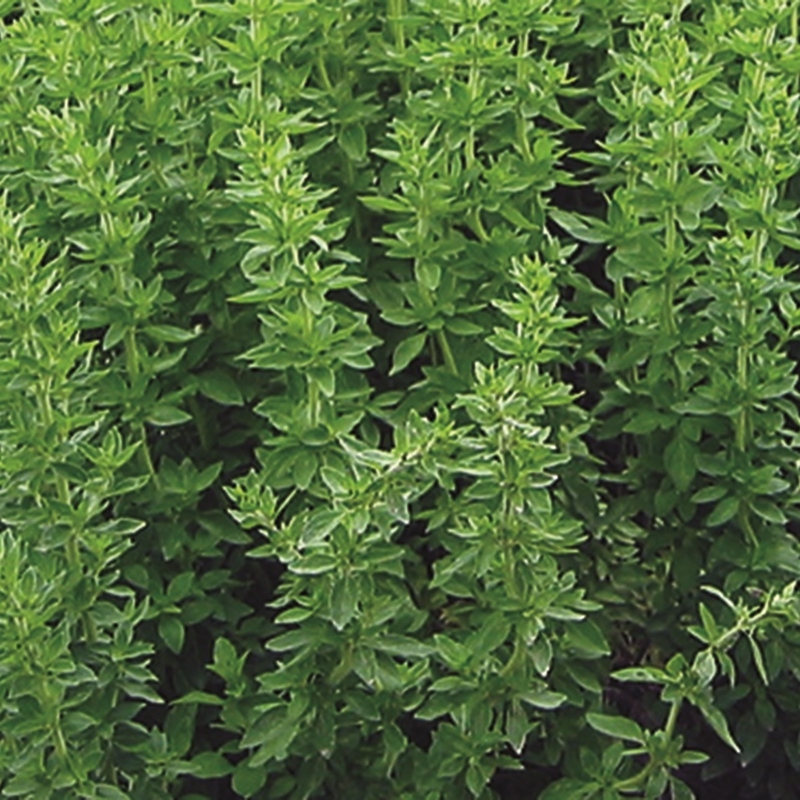 Grow your own fresh herbs from our Pick & Mix range of organic herb plants. Our plants arrive growing in 9cm pots so all you have to do is transfer to the ground, raised beds, containers or window boxes. This variety has been specifically selected for growing outside in the UK as it is resistant to cooler conditions. It has a bright, green leaf that doesn’t discolour and keeps its recognisable intense flavour. Great for protecting your tomatoes, chillies and aubergines! Can be grown in: Pots are ideal for growing basil in. Find out more in our growing guide below. In the kitchen: Pinch off small sprigs and add to salads, tomato dishes, sauces and vegetables. Drawing minerals out of the soil and into its roots and leaves, comfrey can be used as a compost accelerator, to make liquid manure, mulch, weed suppressant and as an insect attractor. Can be grown in: Pots or containers. 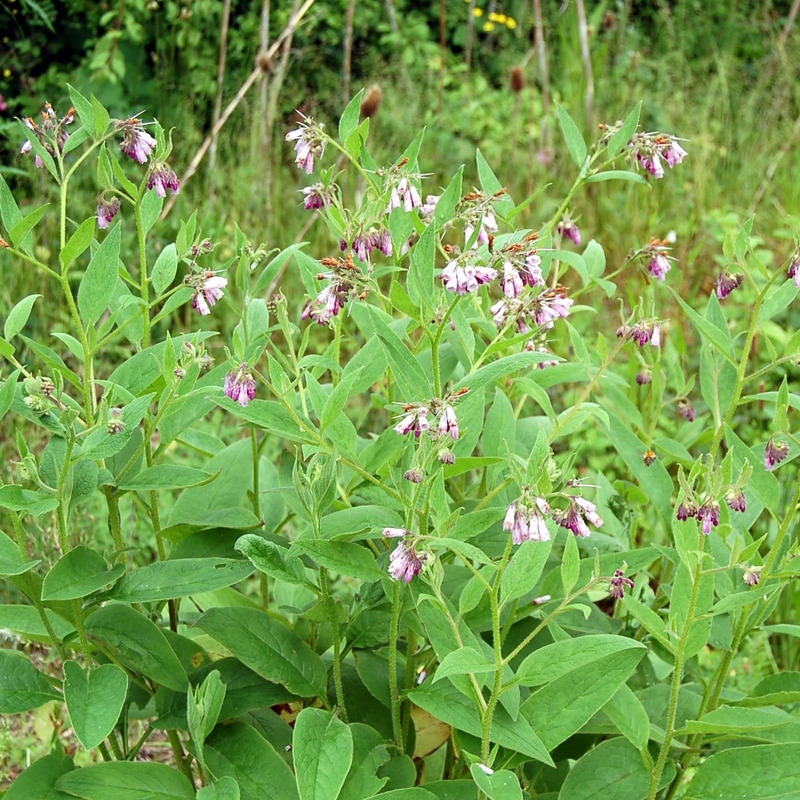 Uses: Comfrey should not be eaten. Comfrey is however wonderful used for grazes, bruising and stings. Pick a leaf, spit on it, rub it between the palms till it starts breaking up, then rub on the affected area. 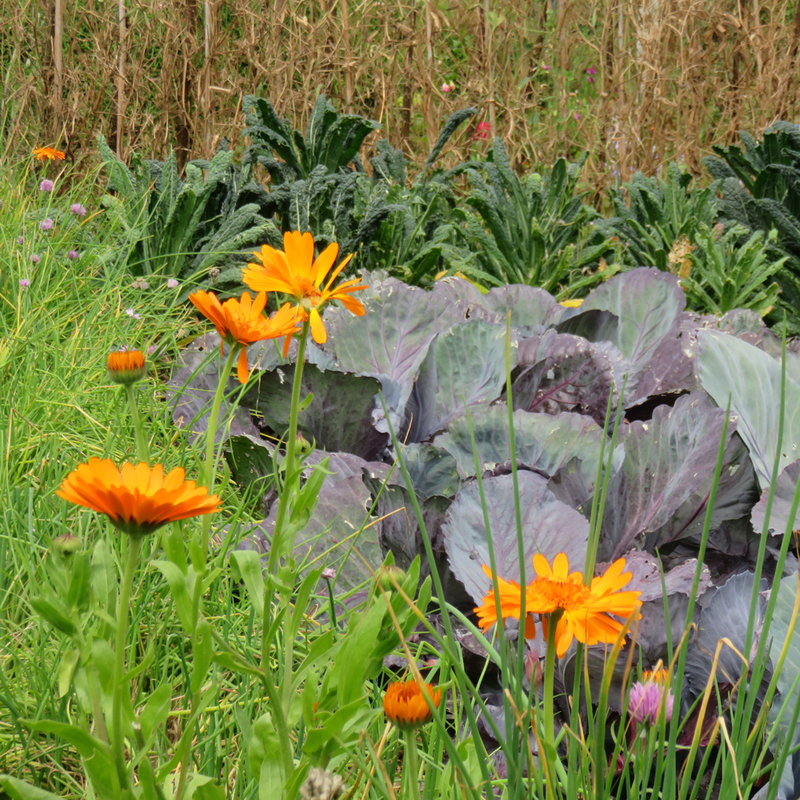 Companion planting is a traditional and natural way to deter pests from crops that you are growing and to attract good insects such as hoverflies, lacewings and ladybirds which are the best natural predators of aphids and whitefly. Our little companion plant pack is a great way to get started and not only do the plants look lovely when interspersed with your vegetables, they all have the advantage of being edible too. Plant tagetes close to your tomatoes, peppers and aubergine to deter whitefly. They also look very pretty when in flower. 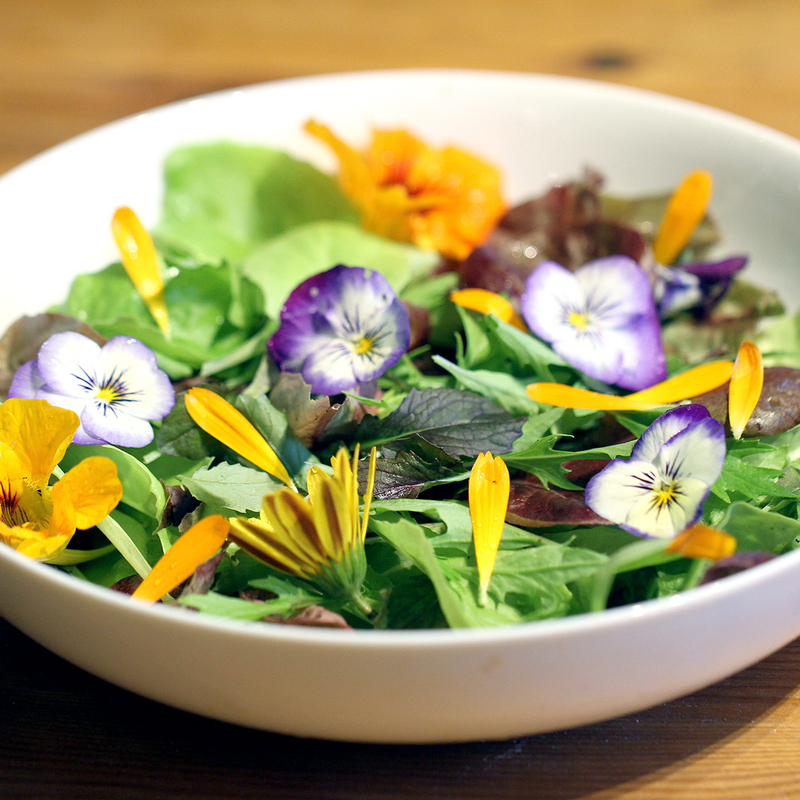 The petals have a distinctive zesty flavour and can picked and used fresh to garnish salads. The strong colour of marigolds attracts beneficial hoverflies, lacewings and ladybirds. Plant them in amongst your crops or next to rows of veg. The flowers and leaves have a mild citrus flavour and can be used to garnish salads or desserts. Nasturtiums secrete a mustard oil that insects love, plant them as a sacrificial crop close to brassicas to deter caterpillars. 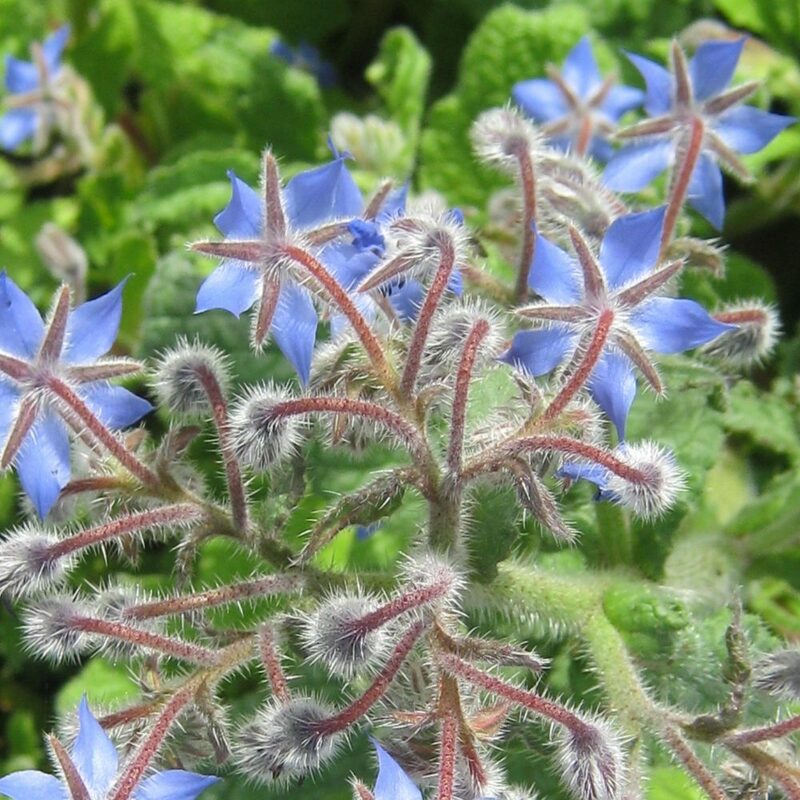 A wonderful pretty companion plant with edible leaves and petals which have a distinctive peppery taste. Companion planting is a traditional and natural way to deter pests from crops that you are growing and to attract good insects such as hoverflies, lacewings and ladybirds which are the best natural predators of aphids and whitefly. Our large companion plant pack is perfect for larger veg patches and allotments. Not only do the plants look lovely when interspersed with your vegetables, they all have the advantage of being edible too. Lovely little blue flowers that will look super on cakes and desserts. They have a cucumber-like flavour – they’re a great addition to a gin & tonic!! These pretty flowers are so sweet and really decorative. Use the striking, orange petals to add a splash of colour to risottos and paella. They have a mild saffron like flavour. This is a dwarf variety growing to just 45cm in height. A green herb with wiry, thread-like leaves that grow in clusters. It has a strong, distinctive taste that is like a combination of fennel, anise and celery, with warm, slightly bitter undertones. 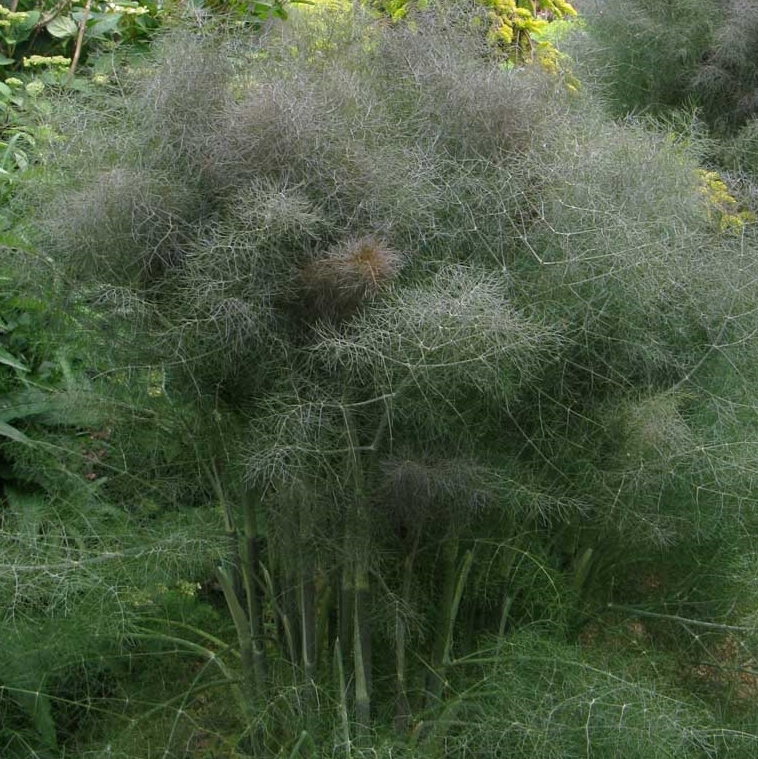 Can be grown in: Fennel hates having its roots being disturbed or being transplanted, so plant in a permanent spot, either in a container or straight into the ground. In the kitchen: Treat dill like bay leaves and let it add flavour to soups and stews, or add to the cooking water when you boil potatoes. 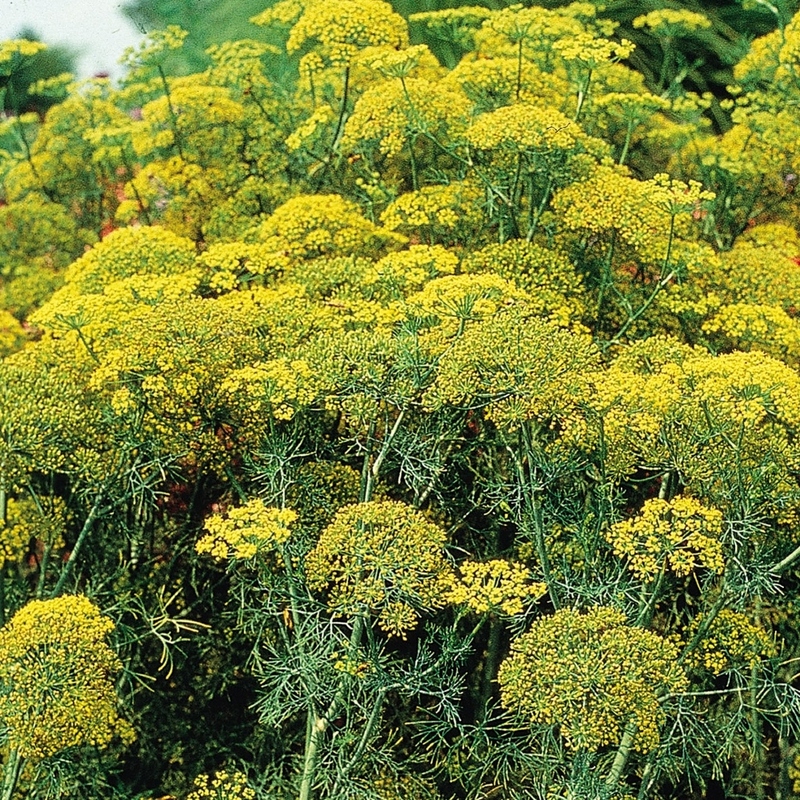 Dill can also be used in bread, soups, vegetable dishes, and pickles, salad dressings, or to make dill vinegar. It works well with fish dishes. 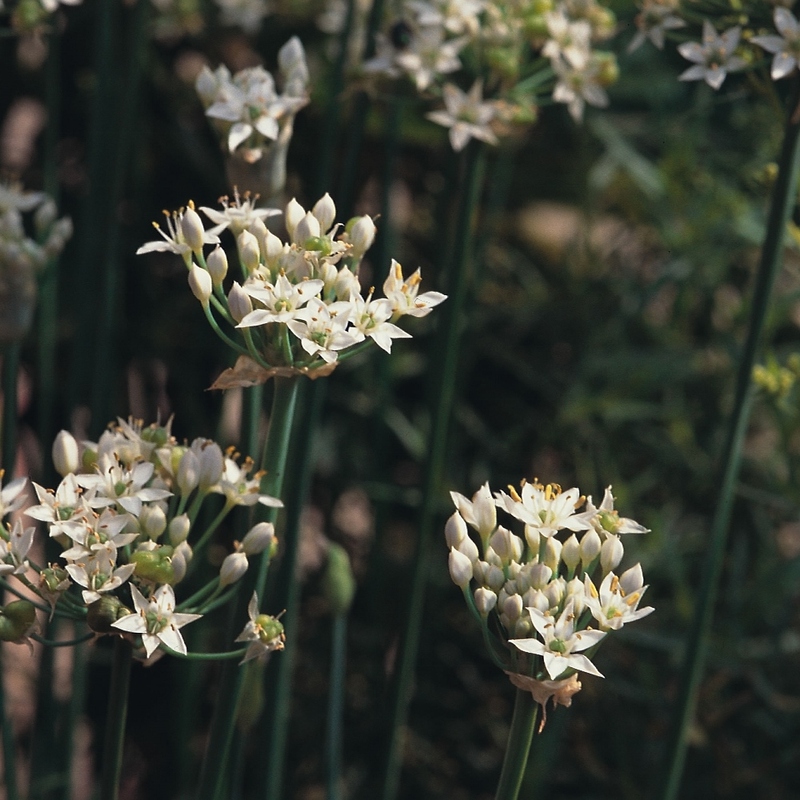 This is similar to chives, but the leaves are flatter with a white flower that has a delicate garlic and onion flavour. Great for protecting your carrots, tomatoes, chillies and aubergines! Can be grown in: Pots are ideal for growing chives, as otherwise they have a tendency to take over! In the kitchen: The slim, elegant dark green leaves can be used as a tasty addition to salads, or in soups, stews and curries. The flowers are also edible and look lovely when sprinkled over a summer salad. A perennial, tropical variety of grass with a sweet, lemony scent. It is particularly associated with Thai and South East Asian cooking. Can be grown in: Pots and containers on your patio in a sunny sheltered spot or in your greenhouse or conservatory. In the kitchen: A delicious delicacy and an essential in Asian inspired recipes. 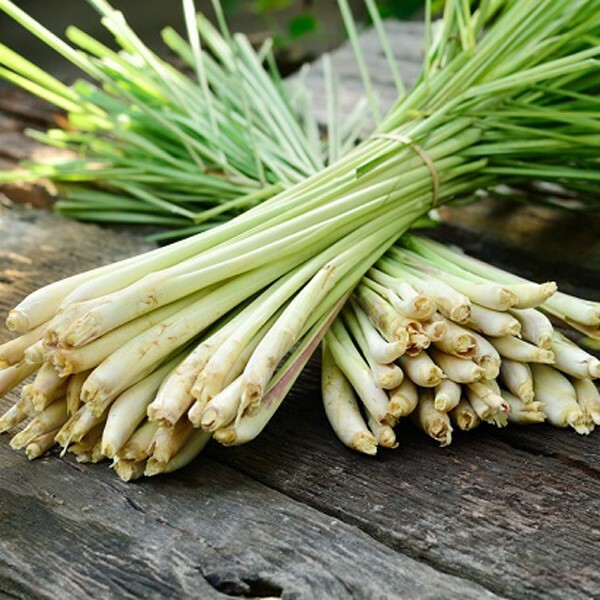 Lemon Grass is a delicious addition to soups, curries, sauces and fish dishes. The woody stems of this refreshing herb are also wonderful for making an invigorating herbal tea. Most of the flavour is in the thicker bulb end, which can be added whole to dishes, or peeled, then crushed or chopped. This is a beautiful North American wild flower with a strong scent and very attractive lavender coloured flowers. It can grow to approximately 1m in height. 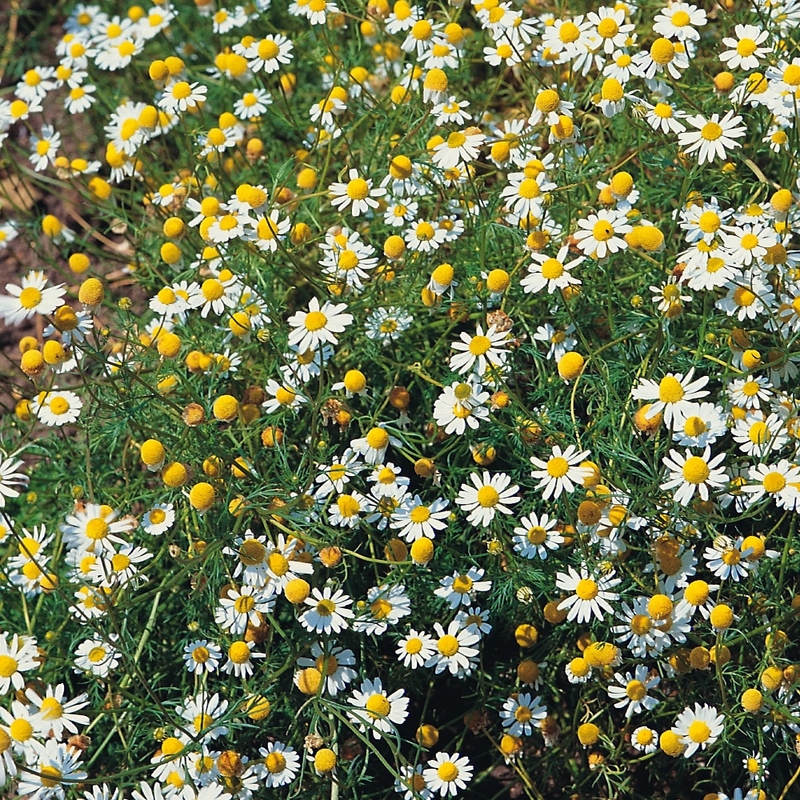 Can be grown in: Plant along your vegetable patch border, ideally against a wall or fence to give it some support. 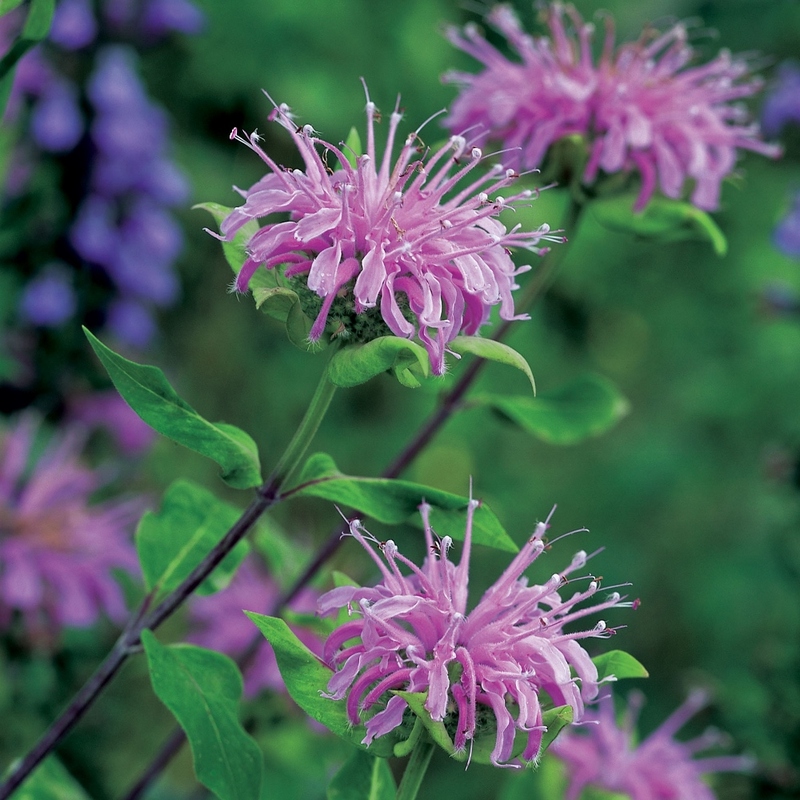 In the Kitchen: Bergamot leaves make a fantastic accompanying flavour to meat dishes. The leaves are also wonderful used in herbal tea. Oh, Coriander, how we love you! 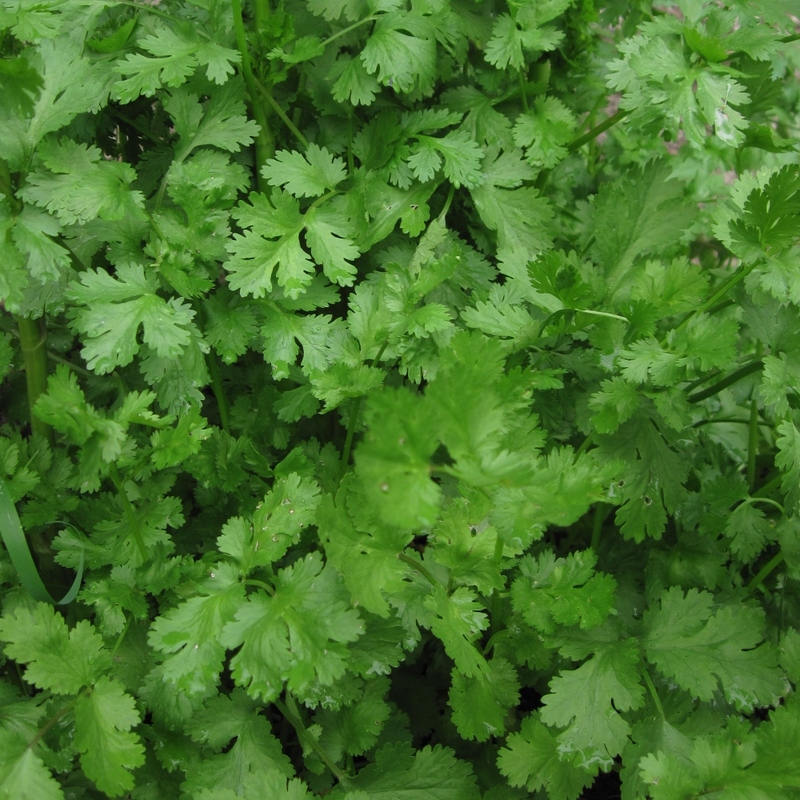 This is a tender green leafy herb which is an absolute essential for those who love Asian cooking. Can be grown in: Deep pots and containers. Preferably somewhere that gets the morning sun and a bit of shade later in the day. Find out more in our growing guide below. In the kitchen: Young leaves are delicious chopped fresh and added to salads. Or use the leaves and stems for some very tasty stir-fries and curries. It works wonderfully as a flavouring alongside lime, chilli and lemon grass. 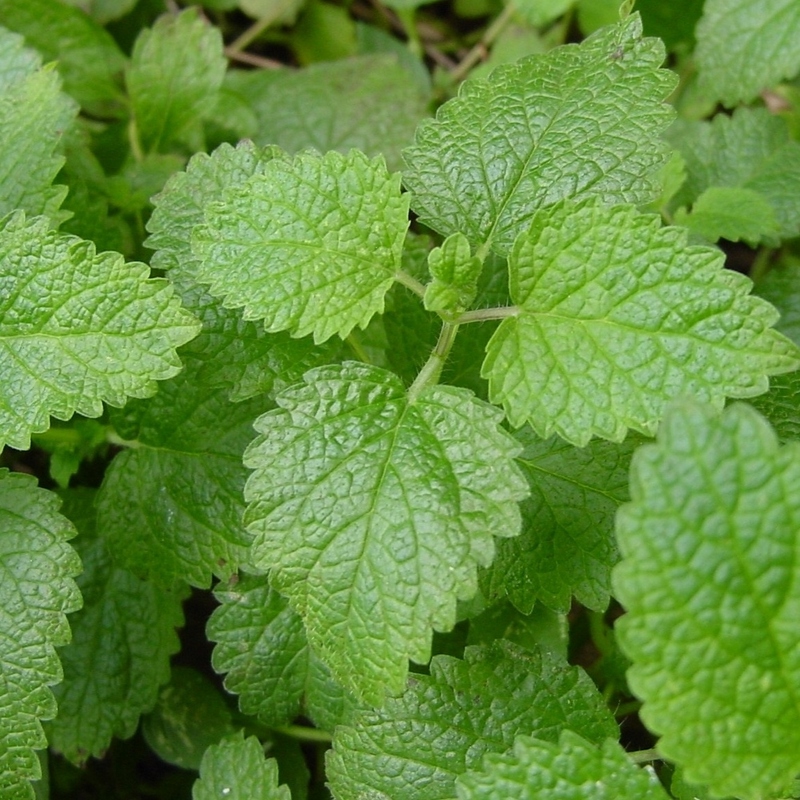 If you like sipping on herbal teas, then Lemon Balm is a must have for your garden! 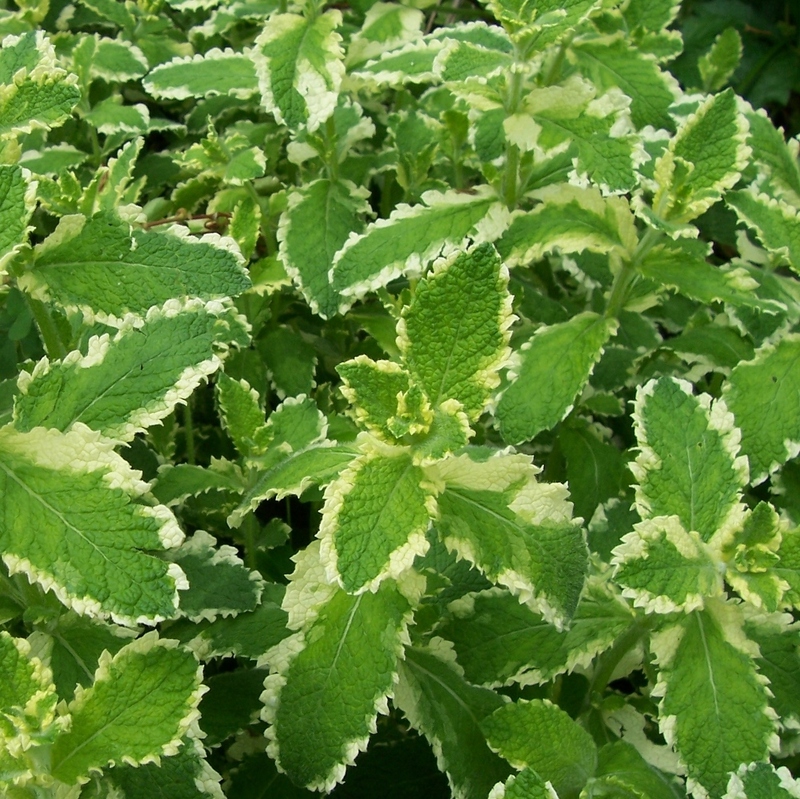 Lemon balm produces beautiful bright green leaves which have a lovely lemony flavour and fragrance. Lemon Balm will die back in winter and reappear the following spring. Can be grown in: Lemon Balm is best grown in pots as it does spread quickly. In the kitchen: Works wonderfully as a herbal tea, just throw a few leaves into a mug of hot water and let it infuse for a few minutes for a calming cuppa. Alternatively, it works well with fish, poultry and vegetables as well as in salads, stuffings, juices and smoothies. This is a superb hardy perennial herb which produces beautiful bronze coloured feathery foliage. It’ll grow quite big, to approximately 1m-2m high, and 1m wide, so give it plenty of space. Can be grown in: Fennel hates having its roots being disturbed or being transplanted, so sow in-situ, either into pots or the ground where it is to grow. In the kitchen: Bronze Fennel has a sweet aroma and a delicious aniseed flavour that goes well with white fish or used fresh in salads. 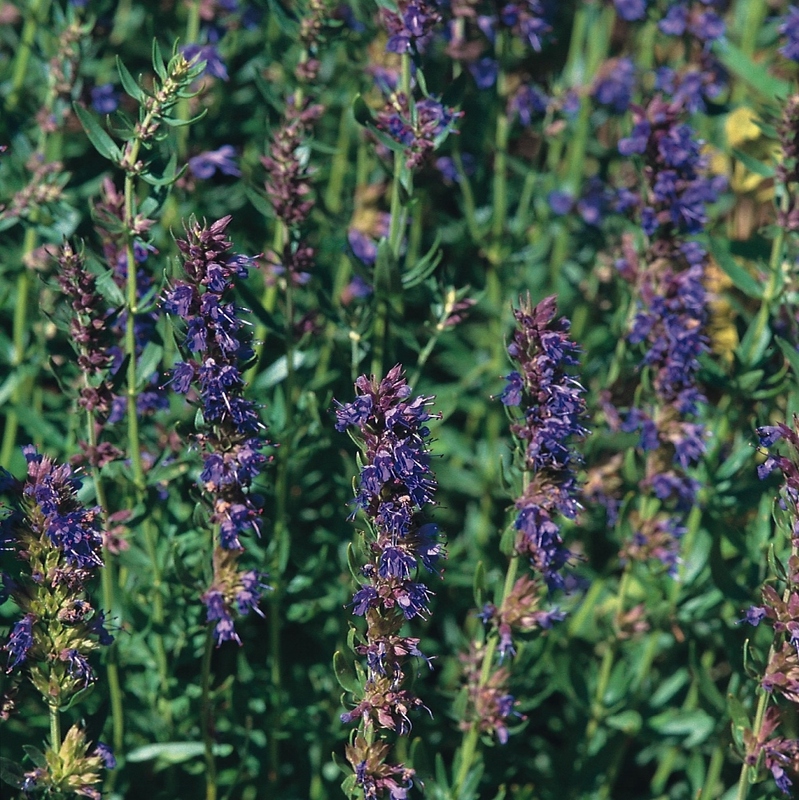 A beautiful blue flowering herb that is loved by bees and by us. Borages leaves, flowers and stalks are all edible. This herb has a delightfully delicate cucumber flavour and is not readily available in shops, so it’s a good one to add to your herb garden. Can be grown in: Pots, containers or your vegetable garden in a sheltered and sunny spot. In the kitchen: Borage works wonderfully served shellfish. The leaves are good in salads, yoghurt or cream cheese mixtures. 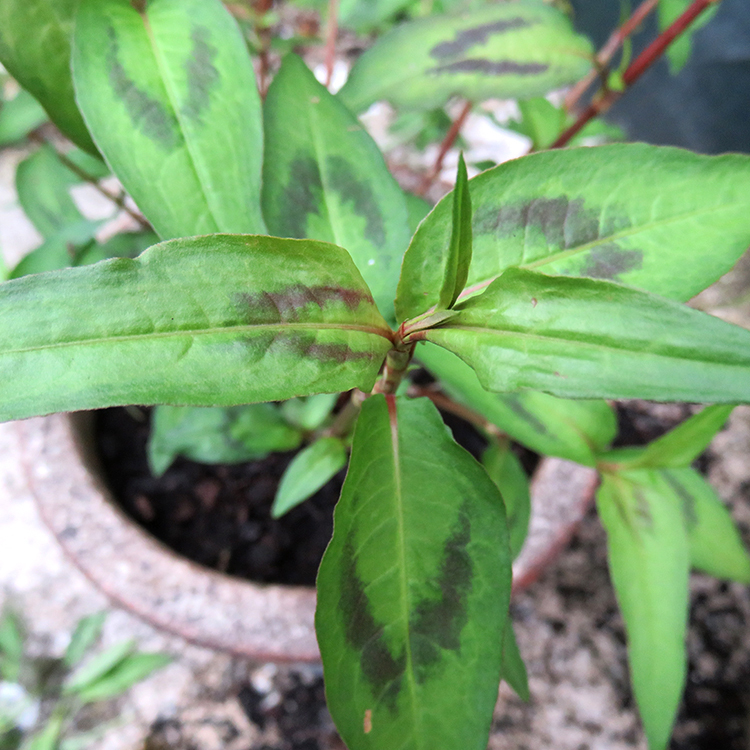 The top of the leaf is dark green, with chestnut-coloured spots, and the bottom of the leaf is burgundy red. This is a popular herb in Asian cooking. It’s very punchy in flavour and has quite a striking look. 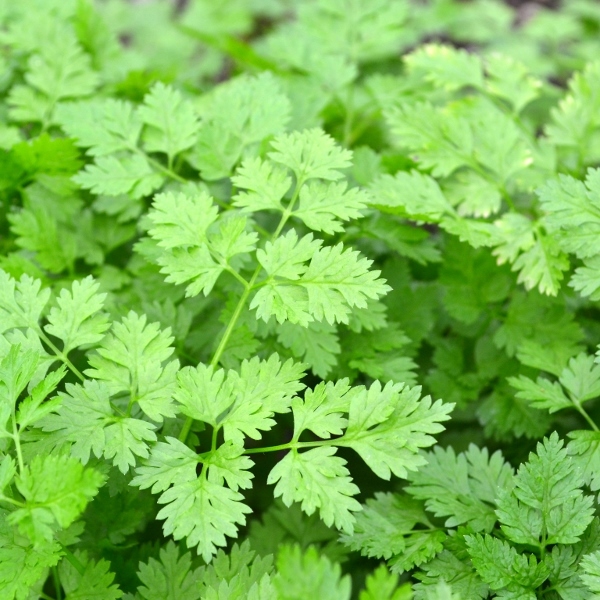 It’s a great alternative to traditional coriander that we’re so used to, the flavour is stronger and it’s less prone to bolting. Can be grown in: Pots work well, but make sure they are deep as coriander likes to put down good roots. A raised bed would be good as well. Find out more in our growing guide below. In the kitchen: Young leaves are delicious chopped fresh in salads. Use in stir fries and curries, added towards the end of cooking time to retain the subtle flavours. It works wonderfully as a flavouring alongside lime, chilli and lemon grass. Delicious in smell and taste, a delightful addition to the garden. 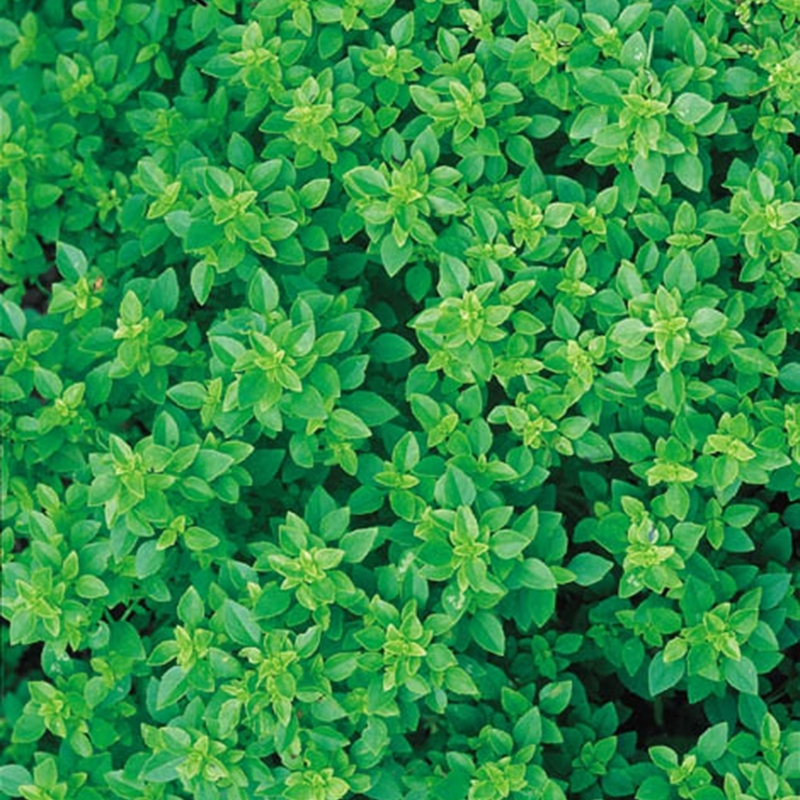 With its lovely bright green leaves and aroma, oregano is a very attractive plant for the garden. Can be grown in: Planting in a pot that you can put outside in the summer and inside in the winter works wonders! Find out more in our growing guide below. In the kitchen: With a warm aroma, oregano goes particularly well with tomatoes, aubergine and lamb and is generally added just at the end of cooking, so that it retains its pungency. It it a popular addition to many Italian and Greek dishes. 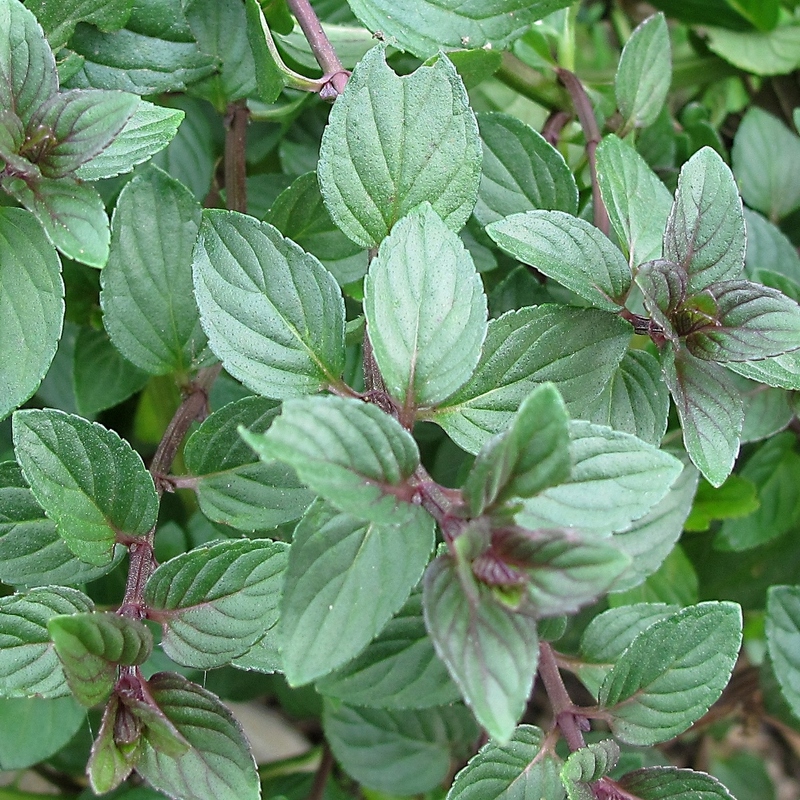 The leaves on Greek Basil may be small but its flavour is big and bold! 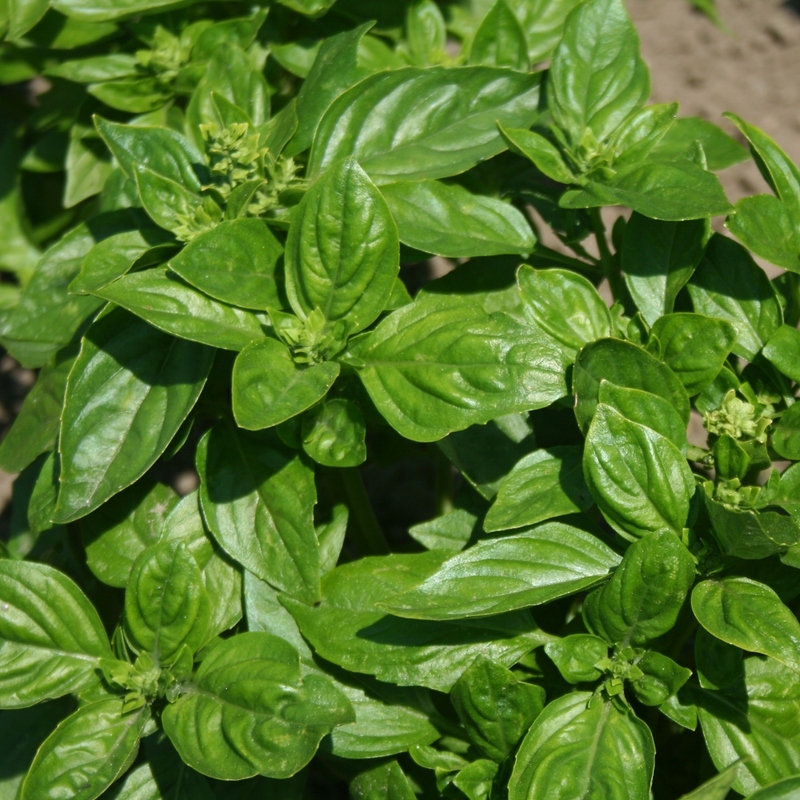 Greek Basil has a very tight compact growing habit and forms a perfectly spherical bush with tiny leaves appearing as though having been pruned. 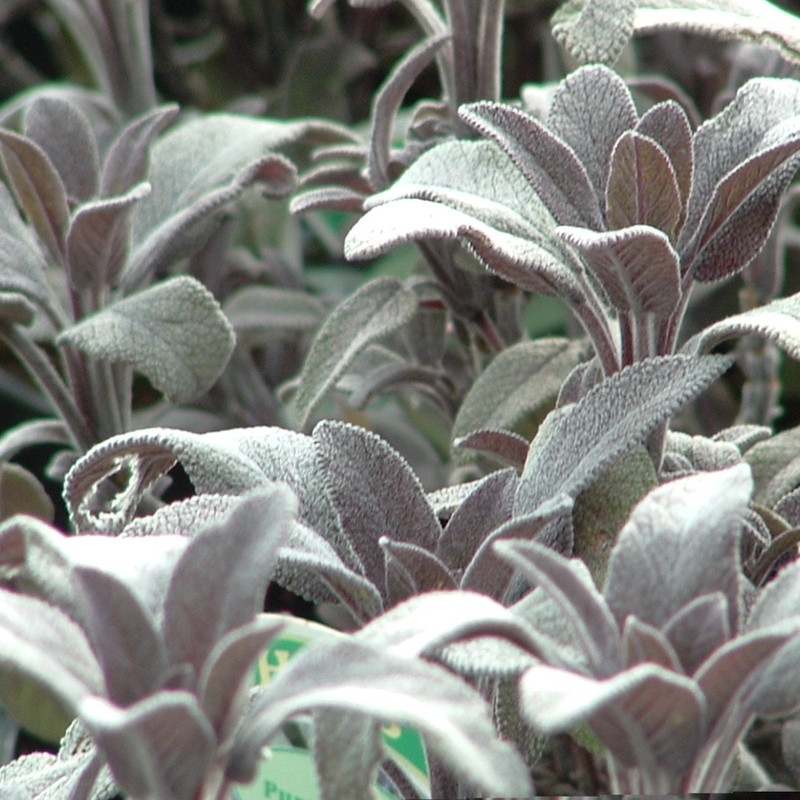 Producing pretty brown/purple leaves with a wonderfully minty chocolate taste and fragrance. In the kitchen: Wonderful used in summery drinks, desserts, with fresh fruit or to make fresh mint tea. 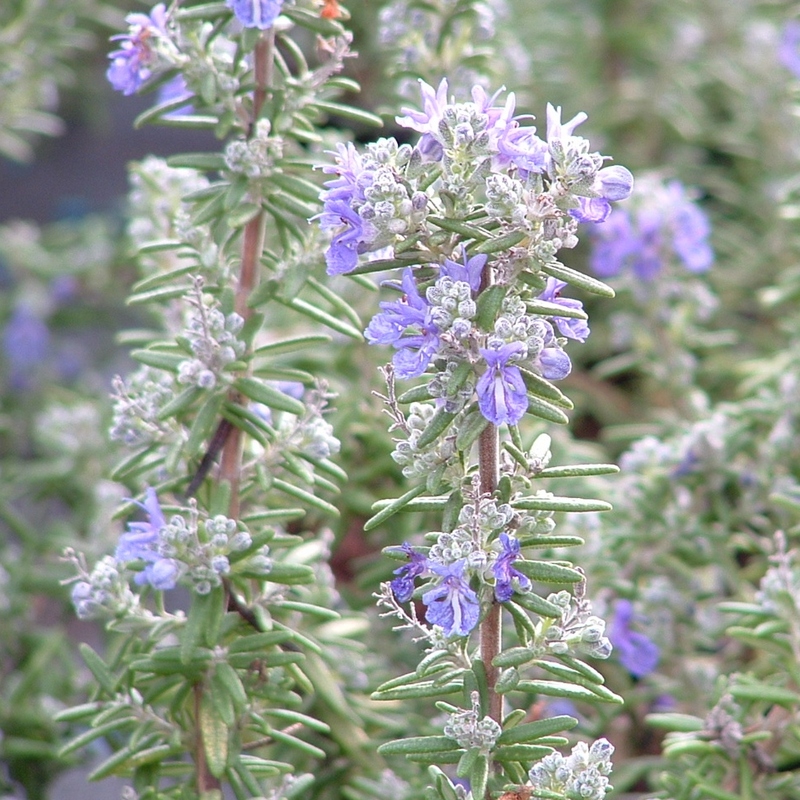 This delicious culinary variety of Rosemary will produce upright deep green foliage and blue flowers. Rosemary can create a fantastic decorative and fragrant hedge if you plant a series of plants about 2 feet apart. Can be grown in: Anywhere as long as it has good drainage. Find out more in our growing guide below. In the kitchen: Spike meat, poultry and game with rosemary. Alternatively, chop it and use in stuffings and sauces for fish, lamb or chicken. Can be used fresh or dried. These flowers are highly scented and good at attracting bees and other beneficial insects to the garden. 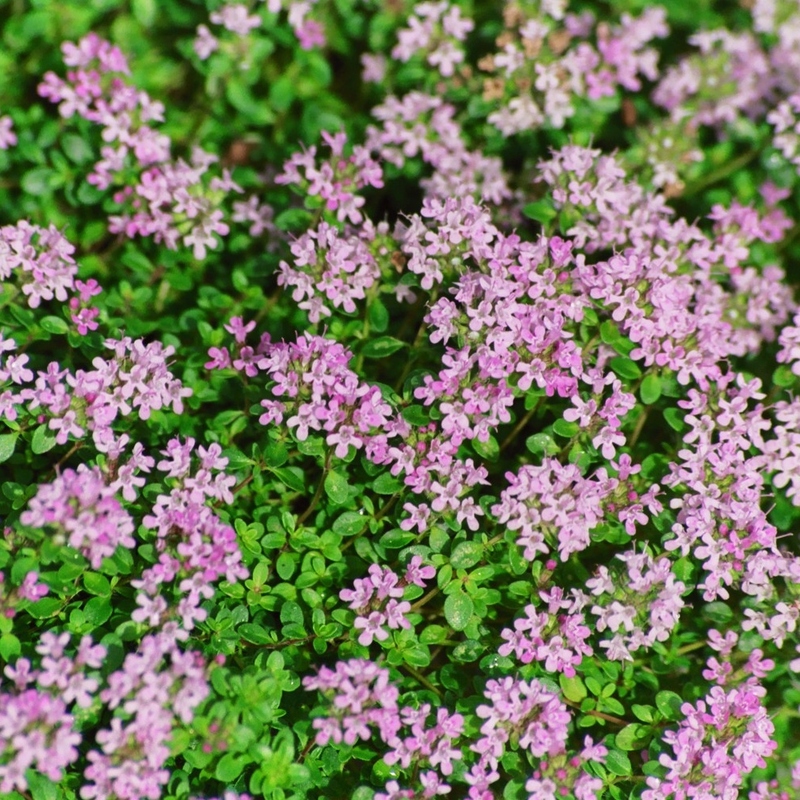 This is the most popular variety of common thyme which has dark green upright bushy foliage with pretty pink flowers. Can be grown in: Pots are ideal for growing thyme. Find out more in our growing guide below. In the kitchen: Perfect for use with poultry and pork, for flavouring stews, stuffings, sausages and pies.